I was having a 3-day birthday bash, and my boyfriend and I have been eating at buffets for the first two out of three days. So on the third day (which was my birthday), we were so sick of eating that we opted to eat somewhere simpler. 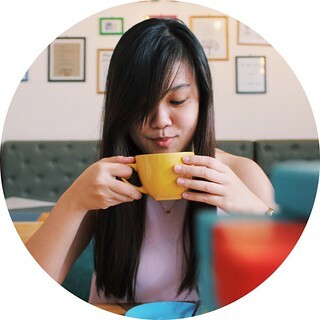 Makati was our first option, but with the traffic that we encountered, we dared not to continue and headed back to BGC instead where we found ourselves in Mimi & Bros. I have been seeing Mimi & Bros all over my instagram feed; photos of their gloriously famous fried chicken, in particular. With this alone, we stepped inside this restaurant bringing smiles in our faces and our empty stomachs. Each item from the lunch menu is served with seasoned rice and a side of your choice. A piece of their famous fried chicken served with seasoned rice and a choice of your side. The mashed potato wasn’t available, so I went with their mac & cheese. The first thing I was able to do when this plate was served was laugh! I ordered two plates from the lunch menu, and the serving of this plate was huuuge! Nonetheless, I started devouring with my huge appetite, and noticed that the chicken was a bit bland, especially the skin, which tasted “brittle” at some points. But with the help of their gravy, and some of their sauces (I personally loved the cilantro sour cream and hot honey), I came to love this order. There are two options for the BBQ pork ribs: either have the classic or the rootbeer. I went with the former. Honestly, there was nothing too special about it. The pork wasn’t very tender as well, which could’ve made it a lot better. But for P325, how could I complain? The mac & cheese wasn’t too bad, either. It’s not the best mac & cheese, and it isn’t anything special. My boyfriend ordered their salmon fish cakes which he did not appreciate, and neither did I since it was too “fishy” for me. He did like the kimchi coleslaw side he chose, though. Food at Mimi & Bros was far from great, but it still makes it a perfectly good place to spend lunch at with their incredibly filling and affordable offerings.